Australia is quite famous for their Kangaroos. In fact, kangaroos are one of the national symbols of Australia. That said, when foreigners hear about kangaroos, they assume they are as adorable as the many stuffed animals created of them. This is not quite the case. In fact, there have been several incidents of kangaroo attacks in Australia. 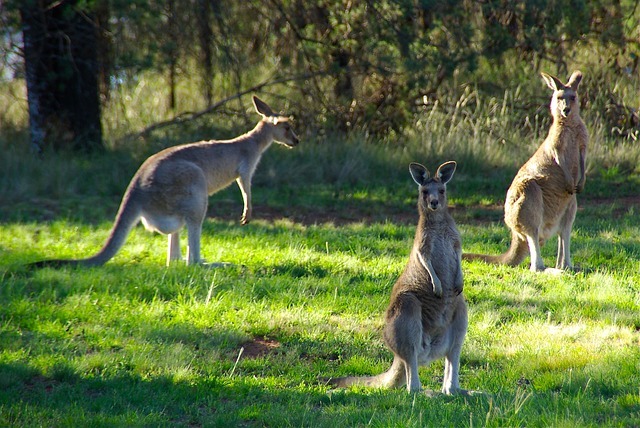 For those living in or planning to visit Australia, it is highly recommended to understand data about kangaroo attacks in Australia and how to prepare for kangaroo attacks. Are There More People or Famous Kangaroos in Australia? It is quite surprising that individuals are curious whether there are more kangaroos than people in Australia; however, according to recent studies, the kangaroo population has doubled in the last six years. The number of kangaroos in Australia have now grown to have a ration of 2 to 1 in comparison of Australian residents due to the abundance of rains after unexpected heavy rains in Australia. This is precisely why experts in Australia are highly recommending to consumer more kangaroo meat in order to cause the population of kangaroos to reduce. It is felt that by consuming more kangaroos, the risk of attacks will lower and the threat on biodiversity in Australia will decrease. There are a surprising amount of kangaroo attacks in Australia each year. There are many incidents of famous kangaroo attacks that have been widely reported about in Australia. In March of 2004, there was a famous kangaroo attack in Burpengary, Queensland where a resident named Sylvia Aldren was picking roses in her garden when a herd of kangaroos approached her. The largest of the kangaroos kicked, bit, and scratched her, which caused her severe injuries. Another famous kangaroo attack occurred in Canberra in March of 2009 when a kangaroo broke into the home of Beat Ettlin, jumped in his bed and scratched him and when he tried to force him out of the house, the kangaroo cut itself on the broken glass, leaving blood all over the house. In Arthur’s Creek, Victoria in November of 2009, a sleeping kangaroo was awoken and went after Chris Rickard’s dog, tried to drown it in the pool until Rickard jumped into the pool to save his dog. When he did, he saved his dog, but was scratched severely by the kangaroo. In Australia, considering the ratio of kangaroos to humans, there are surprisingly few attacks. Mainly, kangaroos are not going out just looking to attack, they need to be provoked usually. Granted, there have been a few cases where kangaroos have broken into places; however, the primary attacks that have been reported involved something setting off the kangaroo by getting to close by feeding them or scaring a sleeping kangaroo. Typically, there are only a handful of reported kangaroo attacks each year; however, the ones that do occur are violent, which is why it is important to be aware of what sets kangaroos off and how to protect yourself in the event of being at risk of a kangaroo attack. If you are spending any extended period of time in Australia, it is wise to have an understanding of how to protect yourself from a kangaroo attack. One important tip is to walk away sideways from the kangaroo if it is imminently approaching you. Bear in mind that many kangaroo attacks are also prompted based on being aggravated by house pets. If you have dogs that bark easily, try to remove them from the environment where kangaroos may be to avoid further agitating the kangaroos. If the kangaroo is wandering in your yard, try to keep your distance and even try to find a large tree branch to keep the kangaroo from getting closer to you. Lastly, be sure to put your hands in the air to protect your face. Kangaroos have long claws that can cause substantial damage if they scratch your skin. Even though kangaroos are the national symbol of Australia, it is wise to realise that feeding them is not a wise decision. Ideally, they are best to be admired from afar. Be sure that you do not walk up to a sleeping kangaroo or scare them in any way. If you are in their proximity, raise your arms up and try to cover your face. Remember to walk slowly sideways away until you can quickly get away. If you try to shield yourself in this way, then you will be able to keep yourself out of harm’s way from kangaroo attacks in Australia.